I think there are good reasons to think that the relationship between the slope of the yield curve and the business cycle may have changed. Both agree that the yield curve is flattening, that long term rates are not going up anytime soon. Yet Yellen offered this additional insight, that it no longer mattered much what the slope of the yield curve looks like because it doesn't affect the business cycle anyway! If you believe that the supply and demand of 10 year bonds has more to do with other factors, such as safety and use as collateral in the interest rate swaps markets and other financial markets, you could come to Yellen's conclusions. And Kashkari is so desperate to see the 10 year yield go up, that he has voted against the three short term Fed increases. He thinks it is those increases that will put a damper on inflation. So, who is right? I believe they are both right. 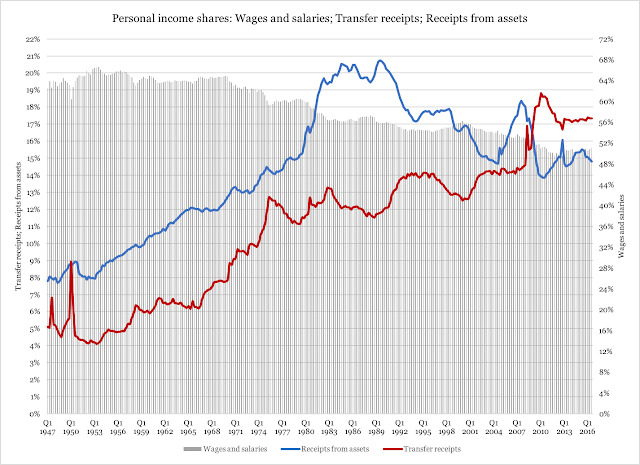 Transfer receipts in red are entitlements, which have actually stuffed the coffers of government. In 2008 mass layoffs increased unemployment insurance, causing a spike in taxes. 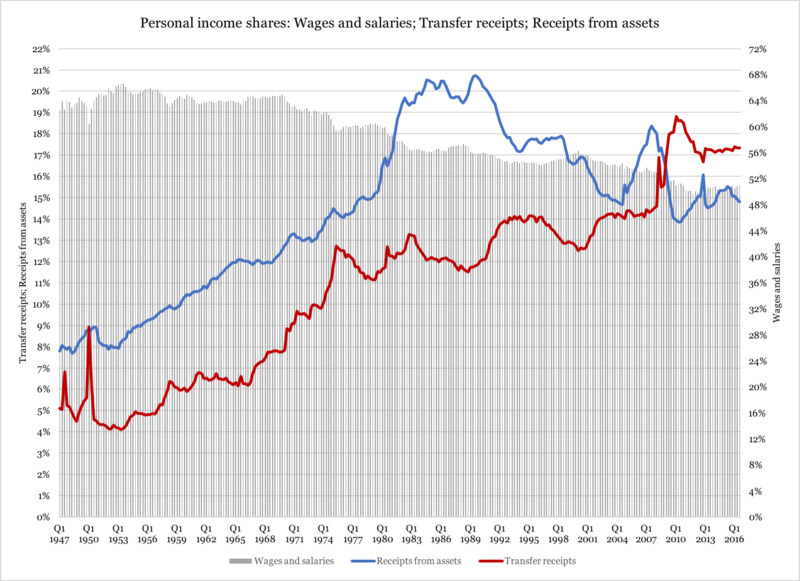 Baby Boomers retiring have paid more out in taxes through social security than earnings. I just want to emphasis the point of the article that when Yellen said the yield curve inversion no longer mattered it signals two things. First, it signals that the Fed is determined to impact short rates, but second, it acknowledges that the conundrum may well be with us as longer bonds won't be greatly affected. Is that a realistic view? I think it is possible.